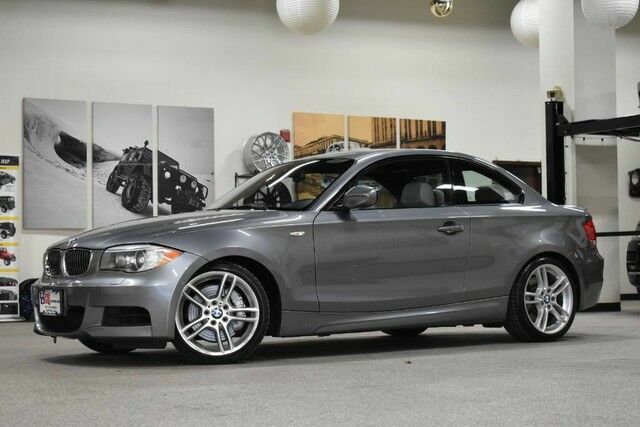 2012 BMW 135i M Sport Package with ONLY 50,000 all original miles. It comes with 6 Speed manual transmission, sunroof, navigation and more. This is a very rare vehicle to find, it has been well maintained and garage kept. Please look at all the pictures to see how nice this vehicle is. This BMW includes: BMW ASSIST W/BLUETOOTH WIRELESS TECHNOLOGY Bluetooth Connection Telematics GRAY, BOSTON LEATHER SEAT TRIM Leather Seats GLACIER SILVER ALUMINUM TRIM NAVIGATION SYSTEM Navigation System Hard Disk Drive Media Storage MP3 Player 6-SPEED MANUAL TRANSMISSION (STD) 6-Speed M/T M/T M SPORT PKG Tires - Front Performance Aluminum Wheels Tires - Rear Performance Bucket Seats COLD WEATHER PKG Heated Front Seat(s) *Note - For third party subscriptions or services, please contact the dealer for more information. * Your buying risks are reduced thanks to a CARFAX BuyBack Guarantee. One of the best things about this BMW 1 Series is that it has low, low mileage. It's ready for you to truly break it in.